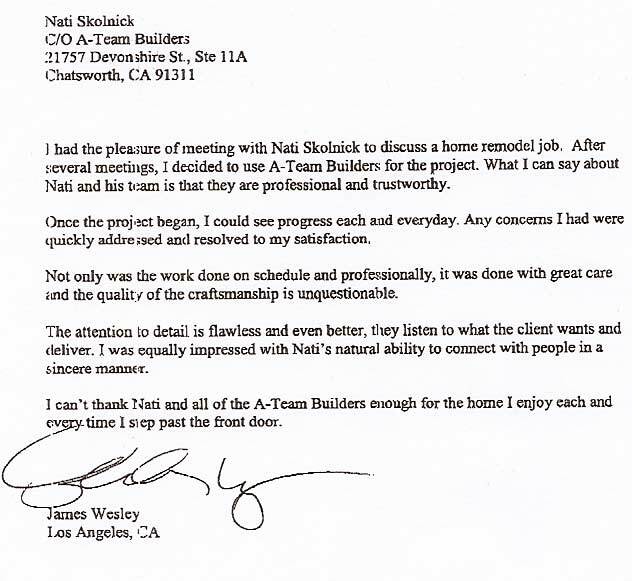 I had the pleasure of meeting with Nati Skolnick to discuss a home remodel job. After several meetings, I decided to use A-Team Builders for the project. 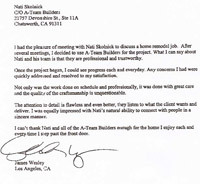 What I can say about Nati and his team is that they are professional and trustworthy. Once the project began, I could see progress each and everyday. Any concerns I had were quickly addressed and resolved to my satisfaction. Not only was the work done on schedule and professionally, it was done with great care and the quality of the craftsmanship is unquestionable. The attention to detail is flawless and even better, they listen to what the client wants and deliver. I was equally impressed with Nati’s natural ability to connect with people in a sincere manner. I can’t thank Nati and all of the A-Team Builders enough for the home I enjoy each and every time I step past the front door. I know this letter is a long time in coming. I want to thank you so much for the Amazing remodel you did for us. I still have not moved something’s back in or hung many things; I JUST LOVE looking around at the transformation of my house. I have and will continue to recommend A-Team Builders to all I know. Just thought I would let you know what sets you above everyone else I have worked with on my house. You listened to all my wants and came up with options in an extremely timely fashion. You spent the time to shop with me for the materials needed to complete the job. Start to finish was completed, as promised. No days in between without work being done. Workers were professional and kept the work site clean and organized. Follow up was timely, as well. Finished project is Absolutely Beautiful. 1. The use of quality materials. 2. There was never a mess during the material removal or building stage. 3. His people always showed up on time. 4. When a construction issue did come up he was always available for us and answered our calls promptly. Hiring A-Team Builders was an absolute blessing. I can't begin to describe the mess that they were able to help me get out of. 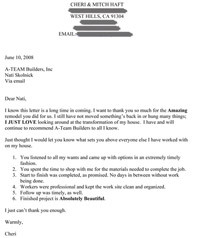 The work that they did to my house was done on time, in a clear manner, and the quality of the work done was impeccable. Once they were hired I didn't need to worry about anything but planning to start marketing the home for sale. I am in the real estate business and hesitate to refer anyone to my clients as their work always reflects on me. A-Team Builders are the only contractors who will ever be referred to my clients because I know that they can be trusted and the quality of their work is always miles above the rest. Brandon Haft - Rodeo Realty, Inc. I want to thank you for creating my dream home from a place that was uninhabitable. And creating a home that is functional and beautiful. You did this with my convenience in mind and always listened to what my needs were. Your schedule included meeting me to pick out everything, my phone calls to you were always answered quickly, it has been an amazing experience for me. 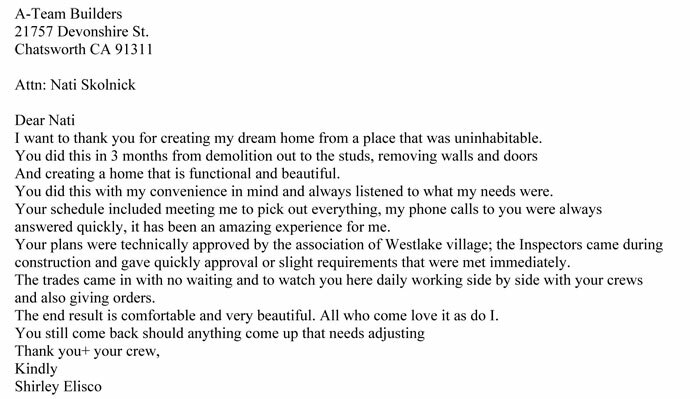 Your plans were technically approved by the association of Westlake village; the Inspectors came during construction and gave quickly approval or slight requirements that were met immediately. The trades came in with no waiting and to watch you here daily working side by side with your crews and also giving orders. The end result is comfortable and very beautiful. All who come love it as do I. 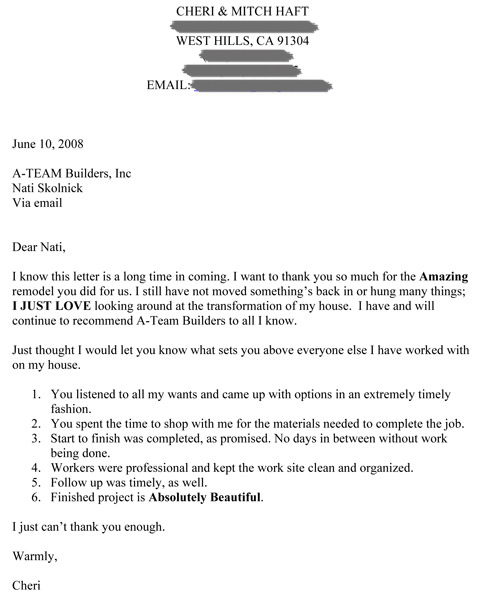 We selected A-Team Builders to do an extensive re-model of our home in West Hills. The project involved re-modeling our kitchen, three bathrooms and family room. We selected Nati and his team based upon our planning discussions, project cost estimates and references. We are now in the house and are very pleased with all the work done. The layout of the house is much more open and functional. The new kitchen and bathrooms are great. We love all the finishes and colors selected. All the work done came together so well. Our=2 0home has a very comfortable, relaxed feel to it. We are constantly receiving compliments on how great the home now looks. This is a great source of pride for us. Thinking back on the whole re-modeling experience we most appreciated the time and attention that Nati personally gave us. He was very generous with his time. We loved his energy and creativity. He listened to what we wanted, pushed back on our requests when appropriated and exceeded our expectations in the work delivered. We also appreciated his patience as we requested changes and enlarged the scope of the remodeling project substantially. 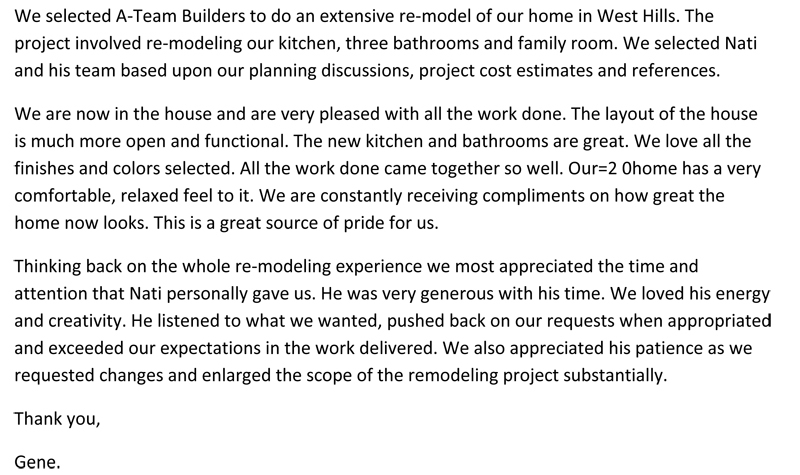 I am so grateful your company handled my home remodeling project. I realize it was not an easy task to do, considering you had only 10 days to complete the project, but you carried it through in a professional and organized manner. Thank you for all your advice and hard work and realizing my project to great success! I love my home - each and every aspect of it!